BOSTON — With a policy battle on the Beacon Hill horizon, the short-term rental company Airbnb has launched a TV advocacy campaign framing itself as a boon to local small business, a check against inequality and a reliable source of income for hosts. The charm offensive comes as legislative leaders appear to be positioning themselves to regulate the short-term rental market, including Airbnb, HomeAway and VRBO, when the Legislature returns to formal sessions in January. Attempts to craft legislation related to the industry never truly got off the ground this session. In a one-minute TV ad, which Airbnb said is part of a “mid-seven figures” ad buy, four Airbnb hosts from greater Boston talk in glowing terms about renting out part or all of their homes to strangers, and how Airbnb impacts the community. Sherry, who is identified in the ad as a teacher, said the additional income she earns through Airbnb allows her to stay in her home amid rising housing costs and growing economic inequality. Another host, Andrea from Jamaica Plain, talks about directing the guests who rent from her to local shops and restaurants as a way to boost the local economy. “It’s a symbiosis between the hosts and the small businesses here, and we help each other,” she says in the ad. Airbnb generated $110 million in economic activity last year in the Boston area, according to the San Francisco-based company. The ad began airing on TV channels in the Boston metro area in late September, Airbnb spokeswoman Crystal Davis said, and will continue to run through the middle of next month. The online booking service is also running radio ads in the Boston market, she said. 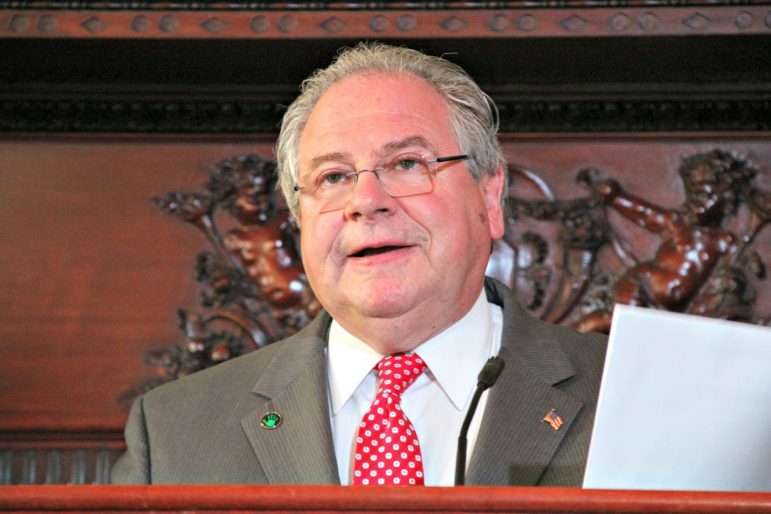 House Speaker Robert DeLeo recently said the short-term rental industry will likely be the focus of more legislative attention next year. “I suspect that that’s going to be one of the — similar to Uber — I think it’s going to be the Uber issue of next session,” DeLeo said earlier this month, likening it to the challenge lawmakers had in tackling the ride-hailing industry regulation earlier this session. The Senate this year approved a proposal to apply the state’s lodging tax to short-term rentals through online websites such as Airbnb to help pay for an expansion of the earned income tax credit. The Senate measure was stripped from an economic development bill that lawmakers rushed to Gov. Charlie Baker’s desk in late July as formal sessions ended for the year. Though some on Beacon Hill may be split on taxing Airbnb, the company has said it wants to be taxed and regulated. In a July radio ad, Airbnb said it supported the Senate’s proposal. “If Massachusetts families pay taxes, we should too,” Airbnb said in the 30-second spot. Airbnb said Boston could have collected $3 million in hotel, tourist and occupancy taxes from Airbnb rentals in 2015. As of January, the company said it had worked with more than 20 cities around the world to collect and remit hotel, occupancy, and tourist taxes on behalf of its hosts and guests. DeLeo this month suggested Beacon Hill will be glad to regulate and possibly tax services like Airbnb, but noted the oddity of an organization specifically asking to be taxed. Records filed with the secretary of state’s office show Airbnb has retained Boston law firm Nutter McClennen & Fish LLP to lobby policymakers on its behalf. While it’s not clear who is lobbying on Airbnb issues, the firm lists three Beacon Hill lobbyists — Melissa Scorzoni, former Rep. Steven Walsh’s chief of staff Joshua Harrell, and William Kennedy, former chief of staff under Speaker Thomas Finneran.